In 1959, Rudolf Nureyev, with Ninel Kourgapkina as Kitri, danced Basilio for the first time at the Kirov Ballet in Leningrad. He was 20. After he defected to the West in 1961, the role became his calling card around the world, the character suiting his comic talents and mischievous nature. He restaged the ballet, based on Marius Petipa and Alexandre Gorski, for the Vienna Opera Ballet in 1966. John Lanchbery reorchestrated much of Minkus’ score. He revived it in 1970 for the Australian Ballet with Lucette Aldous, and this is the version that he filmed in a studio with the company in 1972. In 1971 Rosella Hightower invited him to stage it for the Marseille Opera Ballet, and here Maina Gielgud was Kitri. This version shows the way in which Nureyev managed the great movements on stage even more clearly: the Spanish numbers swirl around the enormous village square and form an ingenious diversity of configuration intended to demonstrate the steps characteristic of Spain. Although the purely classical sequence of the “vision” of Dulcinea and the Dryads was performed in its entirety – exactly as it was handed down by Kirov tradition – Nureyev preceded it with a scene involving a gypsy camp as a pretext for developing an amorous meeting between Kitri and Basil: moonlit pas de deux under the sails of a giant windmill. Rudolf Nureyev also shortened the ballet to three acts with prologue: the gypsies, the windmills, the puppet theatre all becoming one scene, followed by the appearance of the Dryads. Nureyev considerably expanded the comedy aspect. 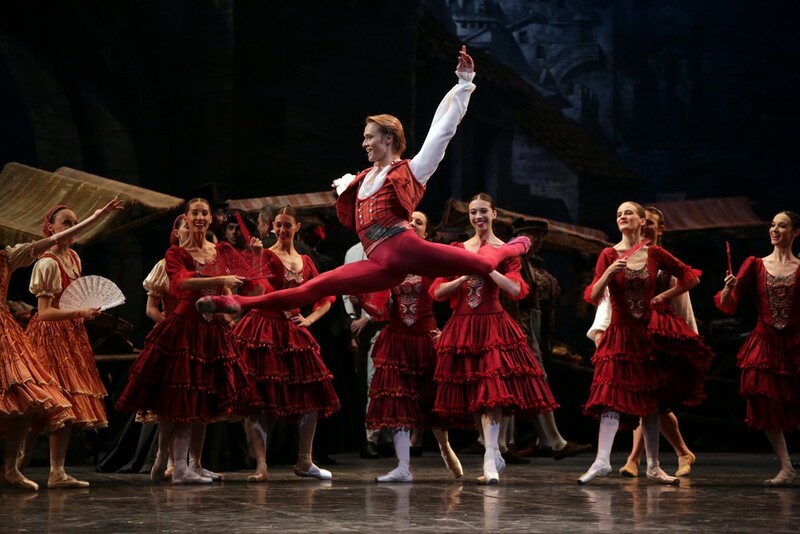 In his version, he introduced the spirit of “Commedia dell’Arte”, where Don Quixote would be Pantaloon, Kitri would be Columbine, and Basil, Harlequin, a brilliant, fast moving, leaping master of ceremonies, who runs from one end of the ballet to the other. September 1980 saw his Don Quixote arrive in Milan with Carla Fracci making her debut as Kitri, at 44, and dancing six performances in seven days (plus a public dress rehearsal the day before the opening). He made a revolution on the way to consider a male dancer. All of the big classical ballet was meant to value the woman, and also his work reflected the dance he saw in Denmark, France, England and Russia. He learned from all over the world and he created his own style. You know when it’s a step from Nureyev as soon as you see it. You cannot really compare it, but his choreography is as rich as the language of Shakespeare or Molière. When Rudolf Nureyev did four alternating double turns in the air to the left and the right, landing each time in arabesque, last night at the Uris Theater, it came as no surprise. Very few dancers, almost none in fact, can do such a difficult sequence in both directions and it is rare to see them try. Mr. Nureyev, however, continues to scale the Everests of his own creation and when he triumphed in this final variation from ”Don Quixote” with the Boston Ballet, he did it with the casualness of a great actor playing with a throwaway line. For Nureyev watchers, it was obvious from his first danced step that this was going to be a consistent performance, calculated in its tensions, totally pulled together in a re-emergent sleekness of line. 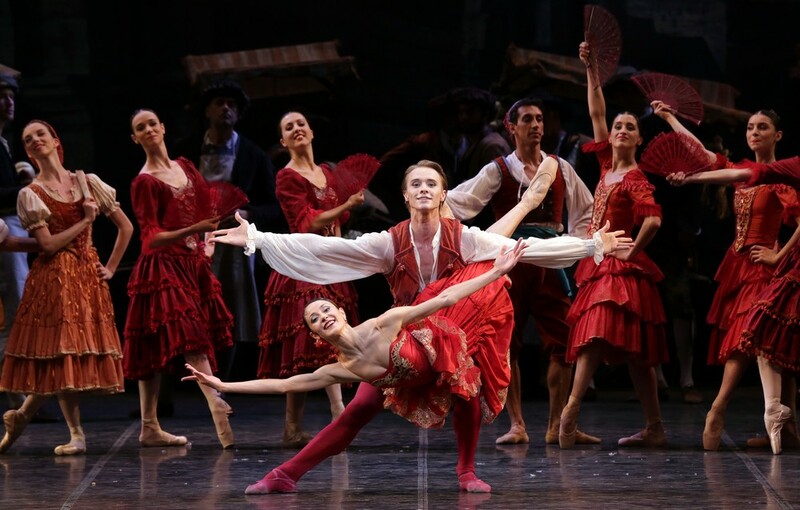 “Don Quixote” is an old ballet that is both gorgeous and ghastly. The music has little more than a cheerful tinkle to it, and the dramatic conventions are far less than adroit, but the choreography (or at least its choreographic traditions—for only a rash man would say nowadays what the authentic choreography is) can be absolutely marvelous. It exists — in two varying versions more usually attributed to Gorsky than Petipa — in both Leningrad and Moscow. Nureyev’s version owes not too much to either. It tries, most intelligently, to make more sense of the story, and give it a little more progression and humanity. Thus the lovers are not united until the final act, and it is not the hero, Don Basilio, who picks a quarrel with Don Quixote, but Basilio’s rich and stupid rival to Kitri’s hand, the foppish Don Gamache. These are all very pertinent innovations, although in an admittedly, even attractively, ramshackle ballet such as this, such dramatic inconsequentialities matter less than in most. Rudolf emerged to everyone’s surprise in the early ’60s like discovering a wild flower which never existed before. This flower emerged in the middle of nowhere practically, it emerged somewhere in the desert and mountains, a flower of infinite beauty. You could admire it, you could be amazed by it, you could touch it, but you could never cut this flower. Because this flower had very strong roots, very strong stem which has supported that beauty. Rudolf was an unusual man in all respects, instinctive, intelligent, constant curiosity, extraordinary discipline, that was his goal in life and of course love of performing. He loved strong women, loyal men, he loved his life. I learned a lot from him, although we are very different performers. I will miss him for the rest of my life. That’s for sure. Thank you for saying so – just a group of photos has limited interest. Ciao!